The PJF2 provides a clean look with its NEW cable management capabilities. The included extension column connector incorporates internal cord management paths that keep unsightly cords concealed from view. 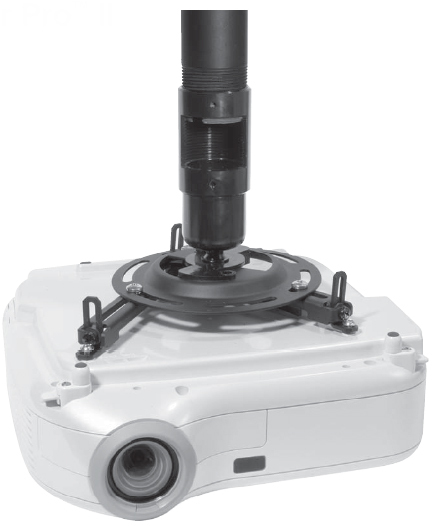 The mount also features a ceiling plate, ball and socket design, multidirectional positioning (roll, pitch, and swivel) for proper image alignment and complete Armor Lock security at every connection point. This projector mount is perfect for use in classrooms, boardrooms, hotels, bars and restaurants or anywhere a projector needs to be mounted. 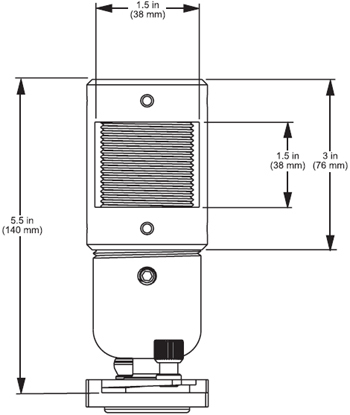 The PJF2 can be flush mounted, mounted using 1-1/2" diameter extension column, mounted using 1/2" thread rod or wall mounted. Both universal and model specific PJF2 mounts include pre-assembled adapter plates to shorten installation time. 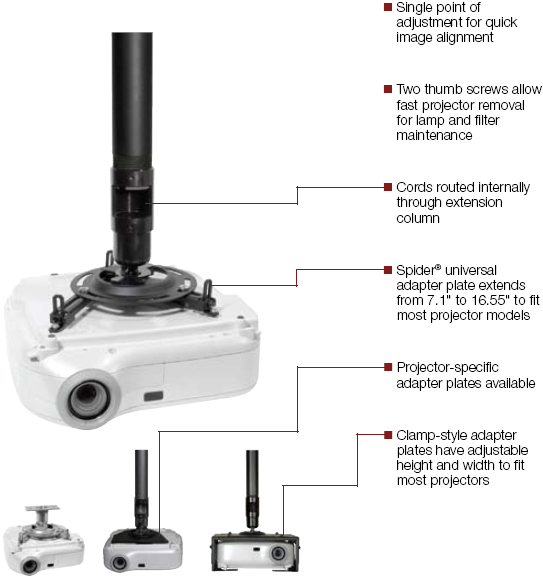 Includes Universal Adapter Plate to accommodate projector mounting holes from 7.1" to 16.55"